Srinagar: In view of the forthcoming International Day of Forests on March 21st, Department of Social Forestry, Jammu and Kashmir, today organised a plantation drive at R P School, Srinagar. The School staff, students and officials of the Social Forestry Department participated in the drive and planted Deodar trees in the school premises. Regional Director, Social Forestry Department, Zubair Ahmad Shah was the Chief Guest on the occasion. 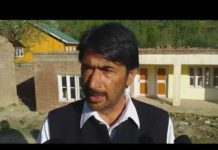 Zubair Ahmad Shah highlighted the importance of trees and forests in the lives of humans and stressed upon their role in the beauty of Kashmir Valley. 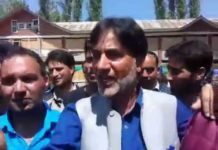 He urged the students to protect and nurture the Deodar trees planted today.